Meatheads was recognized again by Inc. magazine as one of America’s fastest growing companies. The restaurant chain added 170 jobs in 2014 and is opening its 17th location in Oak Lawn, Illinois. Meatheads has been included on the list since 2012. Read more. 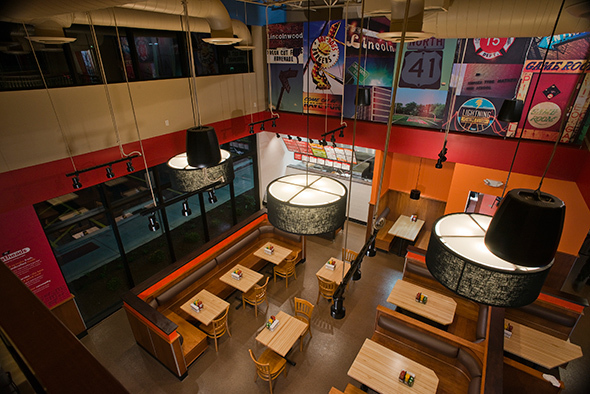 Meatheads has opened its 14th location in Lincolnwood, Illinois. The restaurant, the chain's first ground-up standalone building, features a two-story open space with additional seating on a mezzanine level, along with a generous outdoor seating for guests. The interior follows with the better burger brand's commitment to the communities it serves and showcases local landmarks and other points of pride for the surrounding neighborhoods. Tartan broke ground on a new retail development at the Lake Business Center in Munster, Indiana. Tenants include Meatheads and Noodles & Co. Tartan is leasing two other outlot properties in the development.